Spare Rurouni Kenshin Ticket for Sale! I was just wondering if there is anybody in Melbourne, Australia who is interested to watch Rurouni Kenshin @ Melbourne Central, Hoyts tomorrow evening (5th of Dec, 8:15pm). I have one spare ticket and it costs $16. It's a sold out screening, so it's possibly the last ticket around up for grabs! Hi, guys! 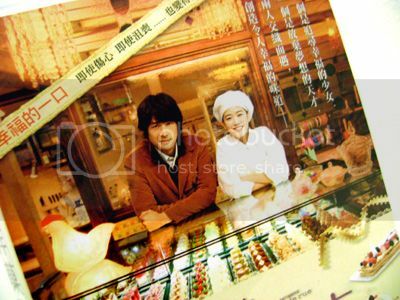 I just posted a packaging pic!spam for the Hong Kong Region 3 DVD release of Aoi's Patisserie Coin de rue and though you might be interested in checking it out. See more packaging pic!spams at AsianPopShock! Voting and discussion going on here. YAM Magazine is giving away ONE copy of Yu Aoi's Uso. If you want to get the chance of getting it deliver at your doorstep, just read the simple guidelines at the end of the issue. Check the whole YAM011 issue here. This is my first post in Aoi Yuu community. Top Runner is NHK's talkshow. So, Yuu was a guest in 2006. It's a raw and I have a Chinese hardsubbeb version. Let's me know if you guys want to take that ver. What did Yuu think about her career in the first days? - Yuu's lovely comments about director Shunji Iwai. It's so funny.